Yes! This program is free of charge for all who participate. There are several meanings of the word Distinction; however, our meaning is the recognizing of differences between the unique individual vs. normal, the extraordinary, fame or honor, living an average life or living with purpose. Young Men of Distinction encourages and empowers young men to recognize their full potential so that they may boldly and confidently use their gifts and skills to become successful and productive members of society. Through mentorship, networking with corporate America and real-life experiences. Young Men of Distinction equips young men with the tools necessary to thrive in our fast-paced, ever-changing world. In a world that sends conflicting messages on what it means to be a man, Young Men of Distinction educates our young men on true manhood and what it means to be a man of distinction. 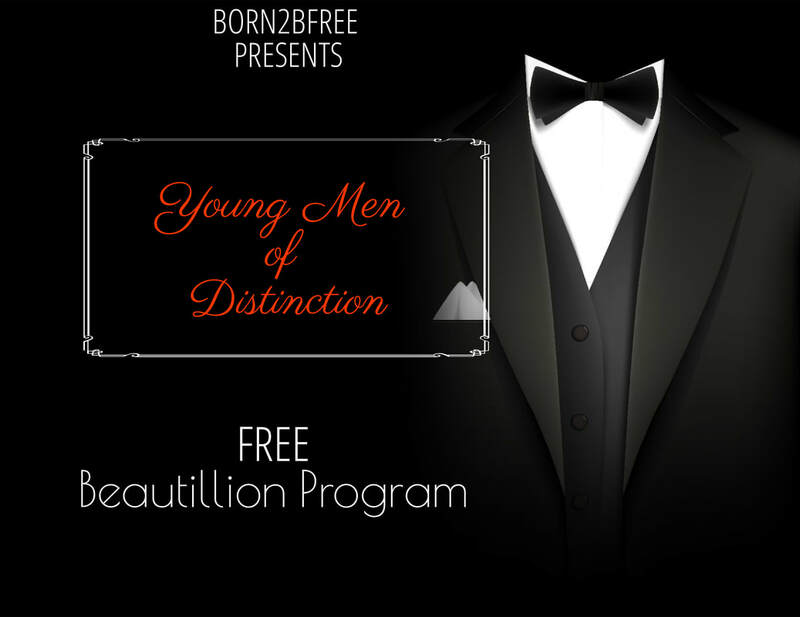 Note: Young Men of Distinction is for ages 16 - 18 and 19 - 29. Some events/activities will be separate and others may be all inclusive depending on the event. This program ends with a Young Men of Distinction Ball. The most outstanding young man in the program will receive a crown and $500.00 cash (Each age group will have a recipient (ages 16-19 and ages 20 -29.). All participants will be acknowledged and receive participation items and certificate of completion at the ball. More specific details will be given during the orientation meeting. GET YOUR SOUVENIR BOOK AD TODAY!